Asus Zenfone Max Pro M1 is a quite popular and recommended stock Android smartphone in India for a budget segment. The device was launch back in 2018 with good specifications, stock Android, and better battery backup. The handset is running on Android 8.1 Oreo (Pure Android) out-of-the-box and still running on Oreo version. However, Asus has released so many firmware updates for this device but it only provided Android Security Patch updates and some system improvements. While some other stock Android devices already got the Android 9 Pie update. Now, the Asus rolling out a new firmware update (FOTA) via OTA which brings latest January 2019 Security Patch and some bug fixes. The OTA update is a gradual process. So, it will take some time to roll-out all the Zenfone Max Pro M1 devices globally. While the security patch version until the last update was 1 November 2018, now it’s directly jumped into the latest January 2019. The latest Android Security patch ensures the protection against system vulnerabilities and kernel bugs for Qualcomm components. The update contains Version WW-15.2016.1901.339 (‘WW’ SKU only) and comes in a size of 1.56 GB. Asus has mentioned the following three update changelog items for this new OTA. As we mentioned above, the update will be rolled out in batches. So, it will take a few days to receive officially via System Update Availability Notification. But if you don’t want to wait for few days, you can also download and install the FOTA file from the below link and just save it on your device internet storage normally (don’t put into any folder). Restart your device and you will be notified to install the update. 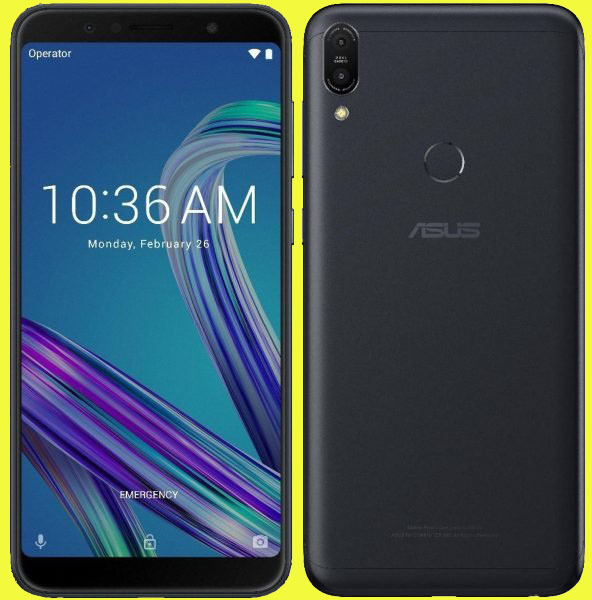 The Asus ZenFone Max Pro M1 comes with a 5.99-inch full HD+ (1080×2160 pixels) IPS display, and an 18:9 aspect ratio. It is powered by an octa-core Qualcomm Snapdragon 636 SoC, coupled with the Adreno 509 GPU, 3GB/4GB/6GB RAM and 32GB/64GB of internal storage (expandable up to 2TB). On the other side, the ZenFone Max Pro M1 has an 8MP selfie camera with an f/2.0 aperture lens for 3GB/4GB RAM model. The 6GB RAM model has a 16-megapixel sensor at the back. The smartphone has 4G dual VoLTE, Wi-Fi 802.11 a/b/g/n with Wi-Fi Direct, Bluetooth v4.2, GPS/A-GPS, Micro-USB, and a 3.5mm headphone jack. It also has a fingerprint sensor at the back and a Face Unlock feature. Finally, the phone packed with a huge 5,000 mAh battery that supports 10W fast charging, but Asus doesn’t provide fast charger in the box.